Les Kellett is one of the most mysterious figures in British wrestling. Simon Garfield’s epic quest to meet the man ended with failure despite the proliferation of letters he sent. 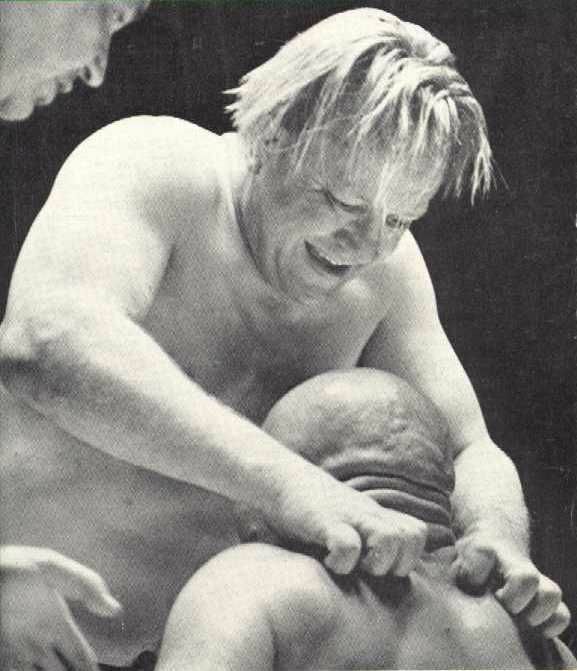 He may have been hilarious in the ring, but he was also physically tough – and terrifying. “To get to anything about Les Kellett is almost impossible – the myth, the nonsense,” admits screenwriter Harvey Auzorst. Researching and writing a biopic of Kellett, then, must be one of the most difficult tasks – but Auzorst has had a helping hand along the way, courtesy of William Regal. 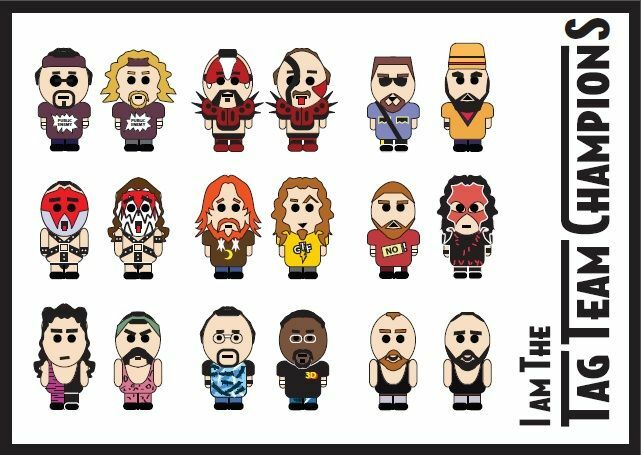 Fact: old pro wrestlers never retire, they just become…stand-up comedians? After Mick Foley’s recent comedy tours, and William Regal’s ‘gig’ in the autumn, the next superstar to head to these shores to try his tongue at stand-up is Raven. 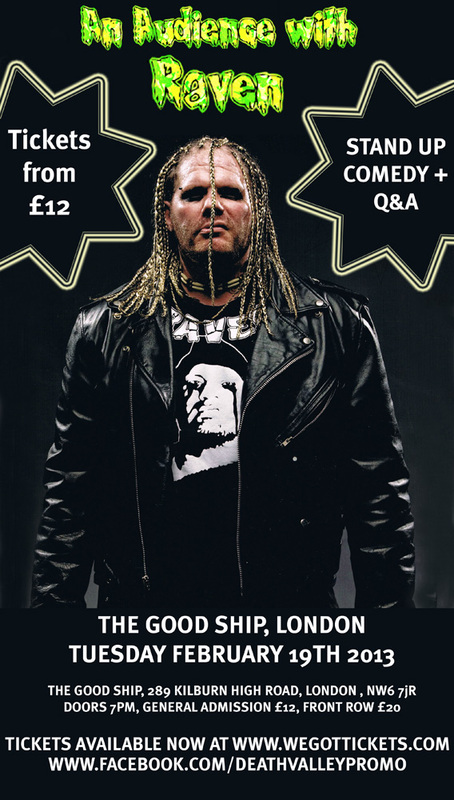 He debuts at the Good Ship, Kilburn, North-West London (and the venue for my birthday party three years ago, fact fans) on February 19 (four days after my birthday, fact fans). Thank goodness the epic torture of NXT Redemption is over. What’s more, thank goodness for the new incarnation of NXT – apparently the replacement for FCW, which was regularly awesome in its own right but usually occurred in front of an audience of eight, albeit including William Regal.